Naggar is a big village with two valuable heritages situated at a distance of 22 Kms from Manali (21Kms from Kullu, district head quarters) in Himachal Pradesh state of India. Naggar is at a height of 5750fts from sea level and situated on sleepy hill, nearer to the left bank of Beas river. Many of the palaces which were royal, are not existing now. In 17th century Naggar was the capital for Kullu (for 1460 years) under Raja Jagat Singh. The capital was later shifted to Sultanpur at Kullu in 1860. 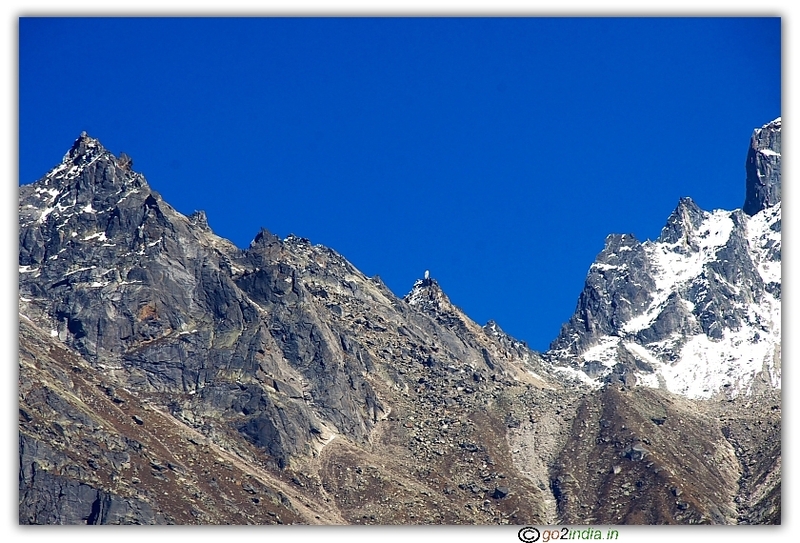 Naggar can be reached either from Kullu side or Manali side. After Kullu, around 9 kms, take right side turn to enter a small hanging bridge on river Beas to cross the river and proceed towards narrow uphill road. Only light motor vehicles can be used on this bridge. 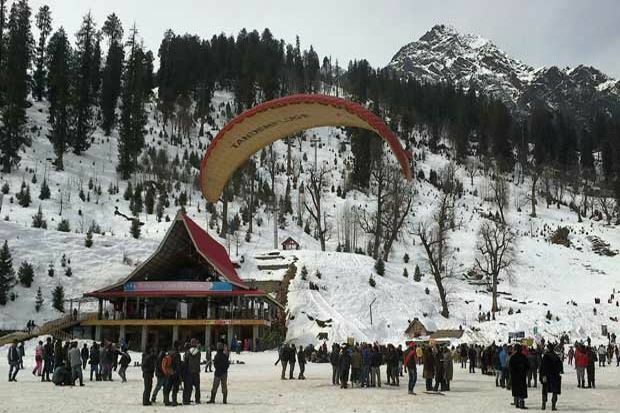 Tourists who would like to visit Naggar from Manali side have to proceed towards Khakhnal. Bus facility is also available from Manali run by HPTDC to Naggar from this route. It is a better idea to travel towards Naggar after visiting Manali as the plan can be made to visit Manikaran after Naggar. 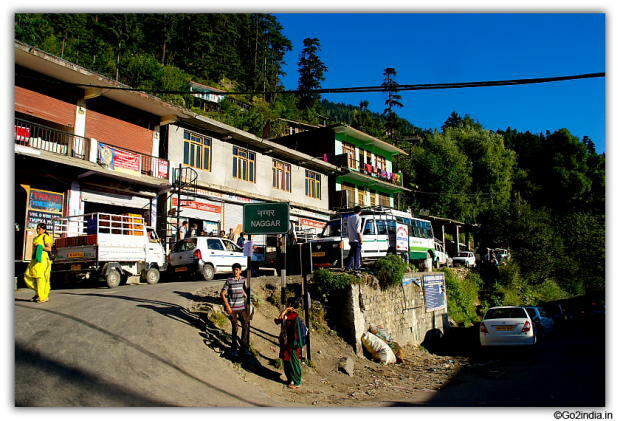 Excellent bus facility available between New Delhi, Kullu and Manali. Nearest railway station is Kiratpur Sahib situated at a distance of 205Kms from Kullu in Chandigarh route. 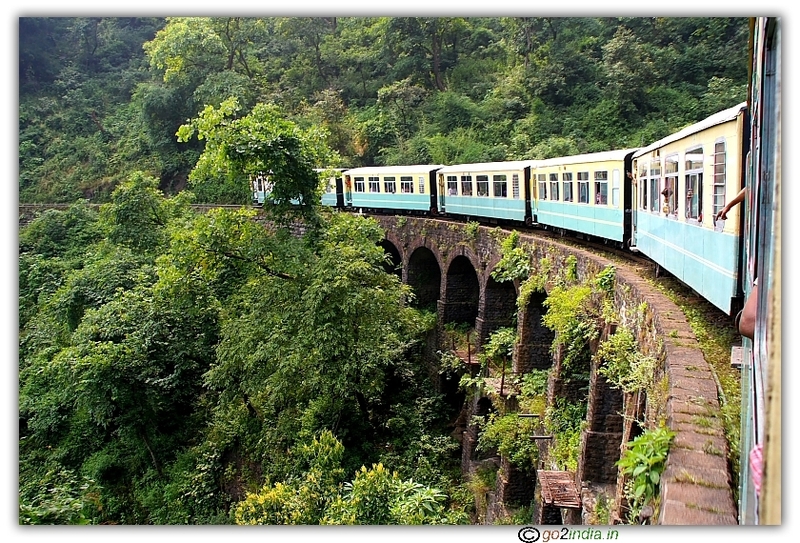 The narrow gauge train runs at Joginder Nagar in the route of Pathankote which is 125Kms from Kullu. 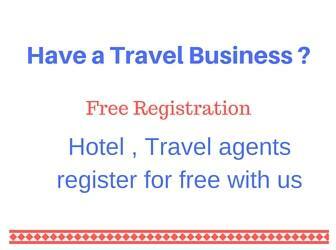 Nearest airport is at Bhunter. This castle was built by Raja Bhosal and is now under the control of HPTDC. There is a hotel run in this castle after renovation. 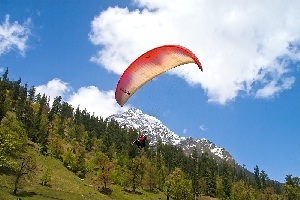 The place is very scenic from where entire Kullu valley on both sides can be seen. There is a sacred slab of stone called Jagti Patt in the castle. Being the only surviving castle in Kullu district, It is a belief that this Jagti Patt stone rescues the local people against all ill effects. There are three storeys in the castle and there is a museum in one of the gallery. Nicholas Roerich was a famous artist. He married to Helena Roerich and famous Indian actor Devika Rani is his daughter in law. He settled in Naggar. He spent nearly 20 years in this place before his death. His entire property is now converted as an Art gallery showing his paintings. This place was originally belonging to a Raja of Mandi and Roerich bought from him. 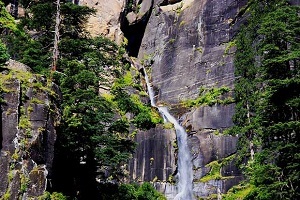 The paintings show landscapes of many important places surrounding Kullu, Manali and Naggar. Most of the paintings show the beauty of ice covered valleys and peaks during early hours of in the evening. There is entry fee for both Art gallery and Museum (same ticket). The timing is from 10AM to 5 PM, Monday is holiday for both. A sale counter is also kept where tourists can buy books, paintings from the counter. This Shiva temple is a protected monument. This is located on the way to Nicholas Rerich Art gallery and Museum. We saw many foreign origin people singing Sanskrit slokas in the temple premises wearing Indian traditional dresses. 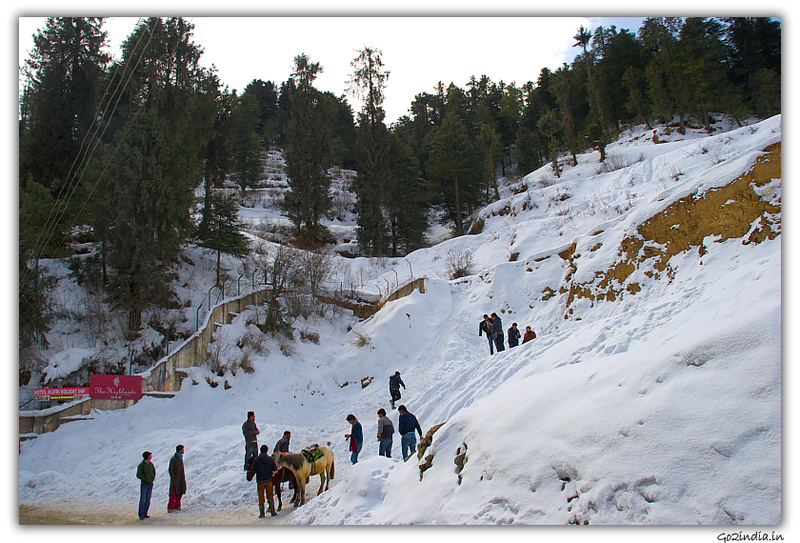 Gauri Shankar temple is facing the valley side where one can see the ice covered peaks of Kullu valley. This monastery was built recently and has been inaugurated during May � 2005 by the Noble laureate, his Holiness, The Dalai Lama. The Monastery is located at the left bank of Beas river and the view of valleys surrounding the place is majestic. 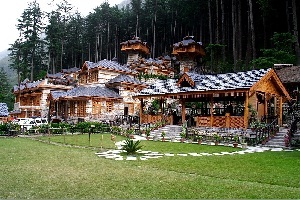 This Monastery is nearer to Kullu and just 10Kms away. One can see the monastery from both the banks of Beas river near Kullu. This place is surrounded by lush green hills. The monastery look is very majestic and associated with Lamrin. Dhakpo Shedroop Ling has been dedicated to His Holiness Dalai Lama. 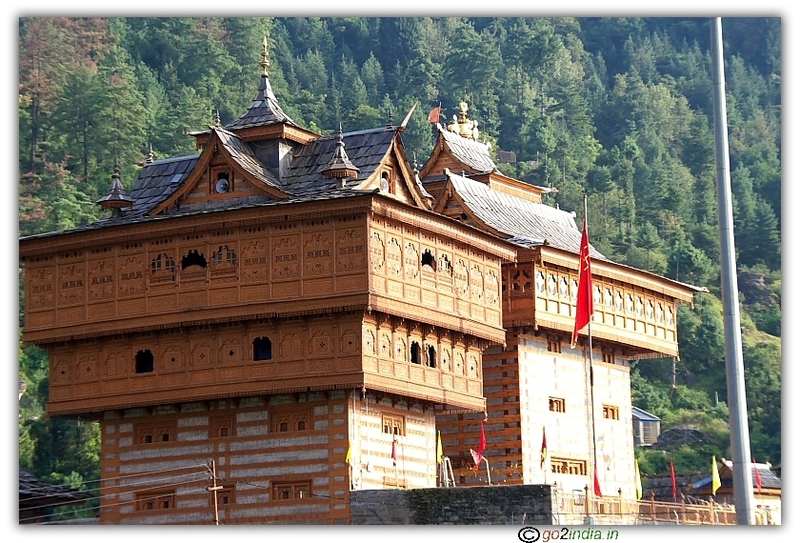 Chamunda Bhagwati temple is located at Nishala village which is 4Kms from Naggar on the way to Bijli Mahadev. This place is movie makers favorite location for shooting. 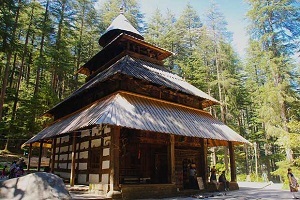 This Muralidhar temple of Thawa is situated at a height in Naggar. Radha Krishna idols are installed in the temple. Many more idols can also be seen in the premises. The total time required for visiting all the places in Naggar will be around 3 to 4 hours. Good food and refreshments are available. Roerich's wife was Helena. Devika Rani was his daughter in law.